Hello everybody and welcome to EYK Episode 5! 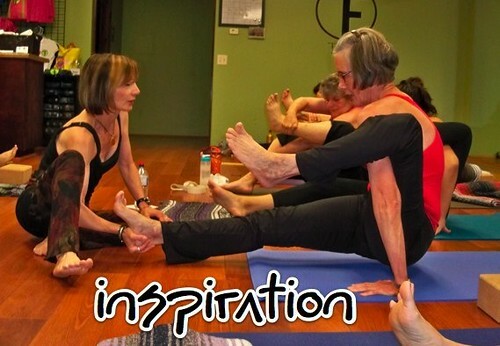 Just in case you are a new listener, the Elsie’s Yoga Kula Episodes are all about community. There are times when I want share with you guys more than the 5-7 minute intro to my Yoga Class Episodes will allow me 😉 This is where I share some of the feedback that I’ve gotten from you guys, plus answer some questions I get, or anything else that I desire to put out. As with Episode 4 of EYK, this episode also has an interview! I’ve been using her music before my public classes and during my private sessions. I love the way it lingers in the background and inspires and yet stays out of the way. My FAVORITE track on the album is called Bathe in These Waters. It gets me every time! Along with this interview I I’ll be reading some feedback from you lovely folks and address some questions so that everyone may benefit! Also a little reminder: Give it up for my awesome sponsors Prancing Leopard Organics 🙂 Their clothing is off the hook. If you haven’t had an opportunity to check out some of their stuff, DO IT! I’m also in the process of getting a few more reviews out there letting you know about some other pieces from their line. I ADORE their stuff! And special for you all….You guys get a 15% coupon code at checkout by using the coupon code that I mention on the podcast! Speaking of reviews…like I mentioned before, I’m going to be doing more and more of them, and I would love to include you guys in the whole thing! Soooooo, if you have a favorite yoga mat, yoga prop, yoga clothing, that you adore please submit a review! I have a little form that you can submit OR you can use the form as a guideline, write your own thing and send it one in! eyogaclass (at) gmail (dot) com. Thank you tons for listening every body. I hope that this was at minimum helpful to you in some way. If you have any questions, problems or feedback please feel free to email me at eyogaclass (at) gmail (dot) com or call me 310 651 6238!!! I LOVE to play some voice feedback from you guys!!! If you do have a chance please head on over to iTunes and review the podcast or the podcast app. I cannot tell you how much it helps to keep the podcast visible. Oh and while on the subject of reviews…I got a pretty negative one the other day…It was kinda sucky, but hey, it happens and it really taught me a bunch, which I wrote in a blog post. Looking forward to hearing from you and already editing Episode 81! It’s gonna be an awesome class 😉 Bye bye! Hello and welcome to episode number 4 of Elsie’s Yoga Kula the special series of Elsie’s Yoga Class: Live and Unplugged Podcast, that’s all about you and all sorts of extra exclusive information about yoga and culture. As always this podcast is brought to you by the Elsie’s Yoga Class Podcast App for the iPhone and iPod Touch available in the iTunes app store for $3.99. Why not have your yoga in your pocket! I am sooooo excited about this episode! Two subjects people, two subjects that I get a ton of email and questions about. The first topic is aimed a bit more toward yoga/fitness/alternative health professionals. I am honored that a lot of you listen to the podcast and am glad that you reach out to me regarding how to grow and supplement your own practices and businesses via new media. I can help you regarding audio stuff, but my video making skills I’m afraid are not as pristine HA! I’m sure you’ve seen at least one of my videos where I cut off my head! So given that, I had the privilege of interviewing someone that DOES have lots of expertise with a still camera and a video camera, plus even more know how as to how to create, yes, CREATE your own DVD (something I know NOTHING about). You guys will just LOVE this interview, seriously, tons of great conversation and sharing of insights! Which brings me to the next topic of the episode: Yoga and Men!!! I know that most of y’all listening right now are women. To those of you that practice consistently in a studio setting, I’m sure you’ve come to see that the majority of people that come to yoga class are women. That demographic is also true of the listeners to this podcast, BUT I do have some pretty strong and committed male listeners. I also have some wanna be committed male yogis that have stayed away because they are a bit afraid. I don’t blame them, the first time I walked into a yoga studio I also was a bit intimidated. I just happened to have had a bit more experience with dance/movement/bare feet/hard wood floors due to my life as a theater actor, but it was still a bit weird. I get it, especially for the guys, the images that you see out there of peeps in al those yoga shapes, can be a bit intimidating, so I asked my guest, who is also a yoga intructor! In fact, there was a time in his life that he taught yoga INSIDE PRISONS! Tell me that product doesn’t sound awesome? I know that I want it! So, I have a little surprise, for all of you lovely Kula members, you guys will get 10% off the product for the next month! So basically you guys have until March 23 to get 10% of the how to create your own exercise dvd! You just have to listen to the podcast to get the coupon code! I know how hard it is to gather up information and study and learn from so many different resources. I believe this is one of the most valuable products that I’ve seen come to market, plus it comes from such a genuine guy with so much talent I can’t even take it! Have you seen his photographs and his videos? Click here to visit Make Your Own Exercise DVD. I wanna bring it back to the men. So what did you ‘guys’ think about what James had to say? I’m putting out a request for you men, those of you that listen to this podcast. Would you help out your fellow wanna be yogis that are a bit intimidated by this whole yoga thing and send an email or better yet call 310 651 6238 and leave a voice message to give some advice? perhaps share some of your favorite resources? That would be really really cool! I don’t want to make this episode too long so I’m just gonna share a few emails with you, I’ll share more on the next one. Hi Elsie, thanks for the podcast! So good to hear from you. I wanted to add my two cents worth of advice about the mats. I have always had a lot of problems slipping and sliding on my regular sticky mat especially in downward facing dog. I got a lovely grippy Jade yoga mat which helped but did not solve the problem. About 9 months ago I got a Yogitoes skidless towel. This towel goes on top of the regular sticky mat and there is no more slipping and sliding!! It has really made a huge difference in my practice, I cannot recommend it enough for anyone who is having problems with slipping due to sweaty palms. The only drawback is that it does not work on the Jade mat, you have to put in on the regular cheap kind of mat. On the other hand it is easy to wash, I just pop it in the washing machine and let it air dry, and it has held up really well. Hope this can help someone! I’ve been doing your level 2-3 yoga podcasts almost every morning for the past two months and I’m addicted! I’ve been going to yoga classes on and off for years, but for the first time I feel like someone is actually teachingme. And I can’t even see you! I’m an acrobat and aerial artist so I do a lots of stretching and conditioning to stay in shape, but I have to say that after two months of doing your classes I’m more flexible than I’ve ever been in my life. You should see my backbends now…my shoulders are so much more open now because in one of your podcast you talked about hand placement. It was the tiny adjustment I needed to make to really round out my upper back and push my my chest forward. And also, splits are easier than ever now thanks finally doing to all of those high lunges correctly. I hope one day I can make it out to Pittsburgh and take a class in person. You rock! This is an event that I was asked to help promote from one of my ex students in LA. Please go to the FB event’s page to find out all about it! If you live in LA and want something fun to do about checking out some dance? 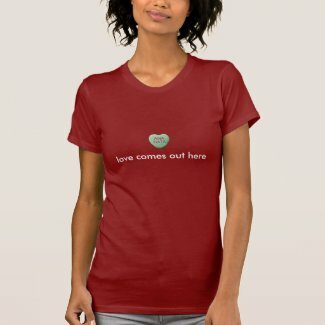 One of the cutest T-shirts ever ever ever from the Phyzz Yoga Blog! A little product that I just found soooo cute I can barely take it. Thank you so much for those of you that have joined the Elsie’s Yoga Kula FB page, located at http://facebook.com/elsiesyogakula. It’s really rockin’ over there! I’m doing my best to post great content for you guys there, both personal and lots of great articles and information to supplement your practice. Whenever I do any sort of giveaways I’m gonna be doing it via the FB page, so come on and join up! There is a little section over there for Reviews, it would be so cool if you guys could review me there. It’s a really powerful tool for me as an indie business owner. It’s absolutely appreciated! I’ve also started a discussion asking you guys to share a bit about yourselves, and who you are so that you get a chance to get to know each other. There are soooo many of you listening to the podcast. Let’s connect even more and help each other grow! Please leave me feedback on the FB page, email me at eyogaclass (at) gmail (dot)com call me at 310 651 6238 follow me on twitter at twitter.com/yogeek and if you have a moment, please review me! either in iTunes and the FB fan page! Love you guys tons! I’ve got sooo much more great content coming up! There were two main catalysts to the creation of Elsie’s Yoga Kula and Elsie’s Yoga Class: Live and Unplugged Podcast. One was my desire to offer my students greater accessibility to practice yoga asana classes without having to go to a studio, either because they were out of town or unable to afford a class. The other was my own need to express myself and have my own ‘way’ of presenting myself to the world as a yoga teacher. The greatest reason I teach is because of my students. It’s because of y’all people! You all offer so much back to me, simply by your dedication and your desire to become more of yourselves. There have been countless times that I may not have been inspired to go teach a yoga class, but as soon as I saw one of your faces all fired up and committed to the class, it lit me up 🙂 There have also been times when I question whether or not I should continue to record my live classes and continue to podcast them, and sure enough, the moment that thought comes into my head, one of you fabulous virtual kula members will write to me and share some powerful way in which the classes have helped you, once again lighting up my heart. Beginning this yoga site as way to express myself, sprinkled with information and a podcast was absolutely self serving at first, and as I delved into it I realized how much more it had become. I’ve gotten the chance to connect with many of you in such incredible ways. I’ve been able to step into the creation of a new way to take the practice of yoga to folks who may or may not have a class nor a teacher available. It’s also kept me accountable as a yoga teacher. I’ve had to stay mindful and true to myself every step of the way. During the past three and a half years of Elsie’s Yoga Kula, there have been times when I had the desire to write and post and be connected almost daily and there have been times when I haven’t even been able nor willing to log on to the site. At first I reprimanded myself for not keeping up with some predefined way in which you are supposed to run a podcast/blog, and then I realized that every word that I put up, every time that I choose to post something it comes from a deep truth, which honors all of you and myself. This whole post came about because of a recent humbling post featuring me in one of my most favorite sites, written by a magical woman that I ‘met’ via social media (twitter/my podcast/facebook). It’s all about resolutions, (what with the new year and all that jazz 😉 and well, we do take stock of what we desire, what we want to do and be, become, etc.) and so my podcast was offered as a way to step into your ‘yoga resolutions’. This just made me realize how important it is to adhere to your own authenticity and truth, so that whatever you put out into the world is truly a reflection of the best that you can be at any given moment. What do you think of the EYK logo at the top of the page?